You are here: Home / Pattern Stash / Pattern Plethora! I feel like a very, very lucky girl right now! 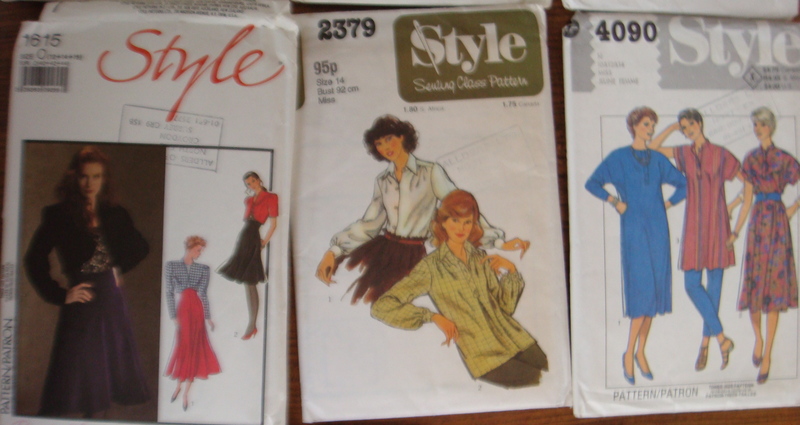 I’ve been ever so fortunate to have been gifted with a small collection of vintage patterns! The pattern on the left is in fact a short jumpsuit, which I have seen everywhere in the shops at the moment! I love the maxi dress, I’m such a maxi dress fan! Some 1980’s patterns – not really my thing but maybe in a few years time…. 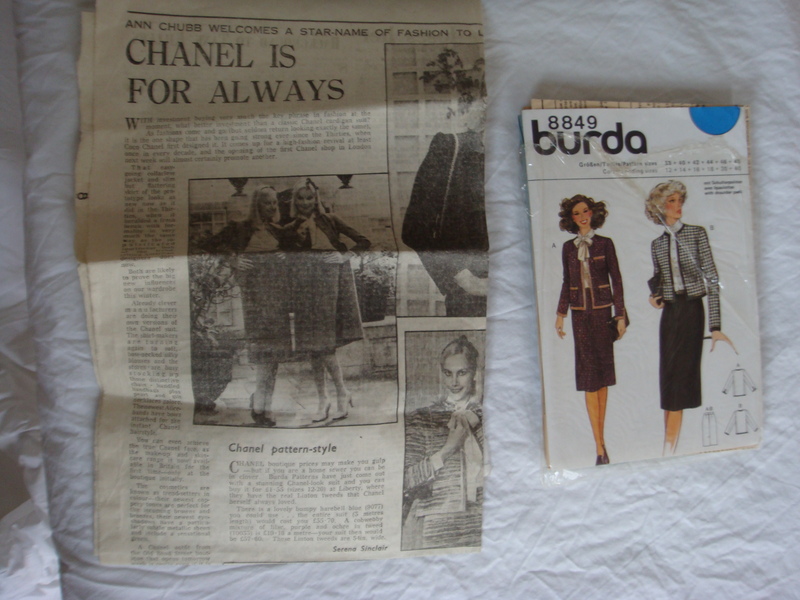 And finally… A Burda Chanel coat knock off! I found this newspaper article from the Daily Telegraph in September 1980 tucked into the pattern. I love finding things like this! According to the article, Chanel opened their first shop in the UK in 1980 and Chanel make up was only available in certain select boutiques as it had only been recently introduced to the UK. Crazy isn’t it? There isn’t a department store nowadays that doesn’t have a Chanel make up counter!! And I can’t believe there was no Chanel pre 1980 here in the UK!! 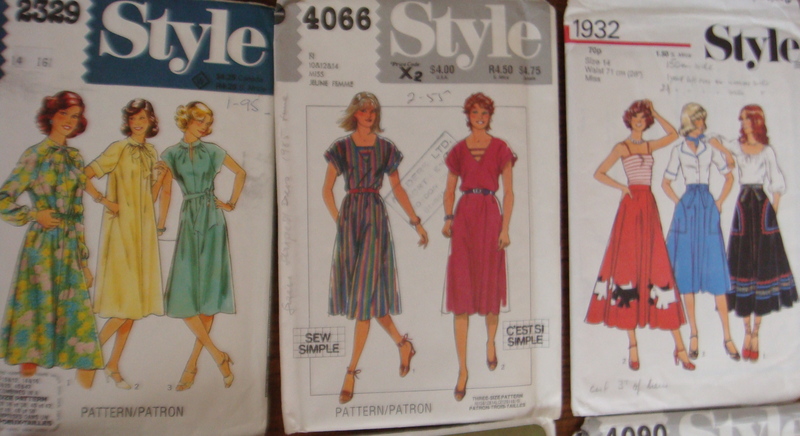 Inspired by Debi from My happy sewing place and her Mission McCall’s (updating the vintage pattern wiki for McCall Patterns between 1936 to 1940) I signed up and put my patterns in the database. 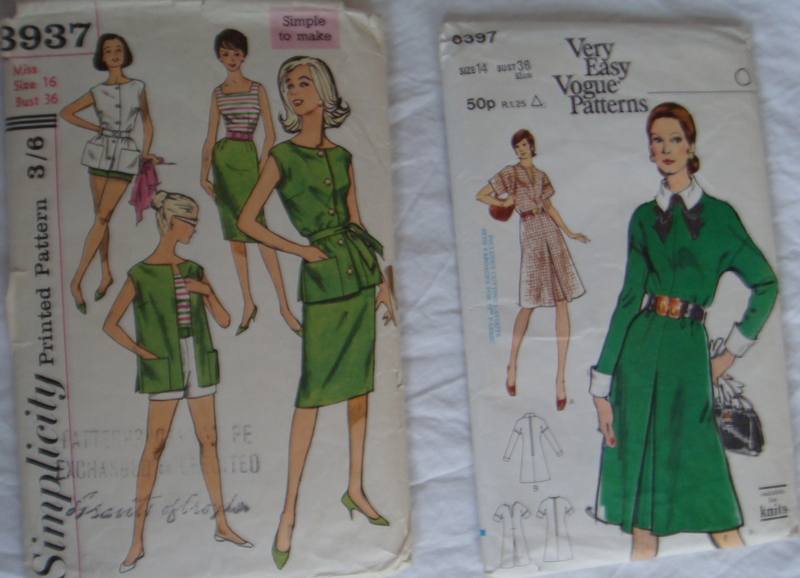 If you haven’t stopped by the Vintage Pattern Wiki, I urge you to go visit, It’s a great resource to find vintage patterns and to browse them!